One of my biggest regrets in life is never becoming bilingual. In today's age, I feel like I would truly be doing a disservice to my daughters if I did not give them all the tools necessary to become bilingual. Of course, not being bilingual myself makes it harder to teach my girls, but I will definitely be trying my hardest to make sure my girls are exposed to and have the option of learning a second language. Since we live very near a Hispanic community, and we plan as a family to do missionary work (once the girls are older) to Spanish speaking countries, we have decided for our daughters to learn Spanish. I am a research maniac, so I did my research and in my research I came across Boca Beth. I believe I first won something from Boca Beth, and then won something else, and then from there I have just fallen more and more in love with it. Boca Beth is a captivating way for our girls, especially at their ages, to learn Spanish. We have both DVDs and CDs and without a doubt the girls love them both. One of my favorite things about Boca Beth is that it appeals to all learning styles: visual, kinesthetic, and auditory. Since my degree is in education, it is very important to me that I choose a learning method that both my girls, despite their learning styles, can learn. It is a great introduction to Spanish for the little ones! 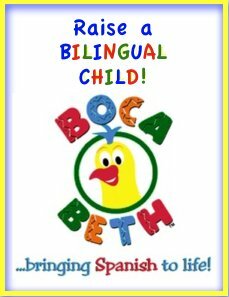 If you are looking for an awesome Spanish program for your preschoolers, I say to take a look at Boca Beth, I really don't think you will regret it! 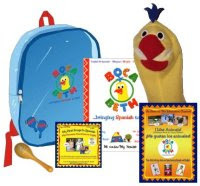 Boca Beth has generously offered one of my readers a chance at winning the Boca Beth Beginner Backpack. Contest ends Saturday, July 10, 2010 at 11:59 p.m. CST! *Congrats to #4- Mandy! Enjoy this with your girls! I learned "Ms. Butler is actively involved with the White House Initiative for Education Excellence for Hispanics." BRILLIANT!! I learned it is NEVER too early to learn a new language, and the best time is between the age of infant and 10! I learned that in addition to true bilingual presentation (side-by-side Spanish and English for parallel learning), it will be another chance to dance with my girls! And that, amazingly enough, bilingual children perform better on math as well as verbal sections on standardized tests. How neat is that? Oh, and I have finally "liked" Jewels and Treasures on FB - hoping it will let me know whenever you post! Ok I followed you and Boca Beth on Twitter. I became a fan of you and Boca Beth on FB and I retweeted that you have the contest!! Woo Hoo! I hope I win! I am a Facebook Fan now. I learned that Boca Beth teaches the whole child using the TPR method. So no matter what type of a learner you child is (visaual, auditory, etc.) this program will benefit them. I learned that Boca Beth uses the Total Physical Response method which is perfect since my child learns best by moving and singing! 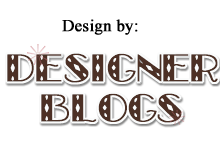 I'm a fan of Boca Beth on Facebook :) Terra F.
I'm now a fan of Jewels & Treasures on FB! Terra F.
I learned that there are BOCA Beth lessons on youtube. How fun is that? I learned that there are about 45 million Spanish-speaking people in the United States...that's definitely reason enough to want to learn Spanish! I "liked" Boca Beth on my Facebook account.